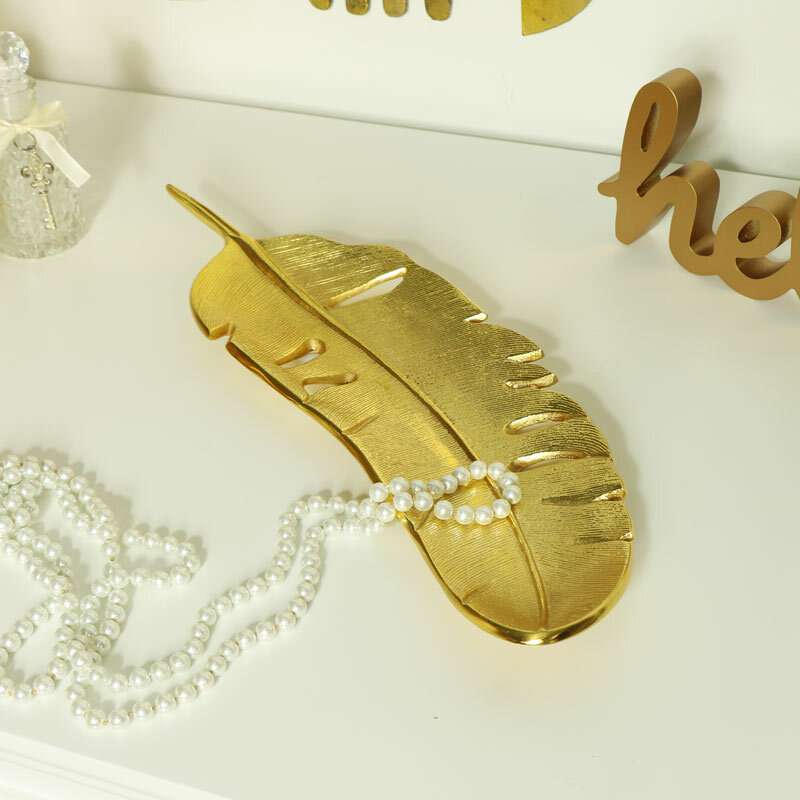 Stylish trinket dish in the shape of a golden feather. Ideal for safely holding keys, jewellery or spare change. Luxurious gold finish with sturdy flat base, perfect for displaying on a shelf or sideboard. A great gift idea for Mother's or Father's Day. 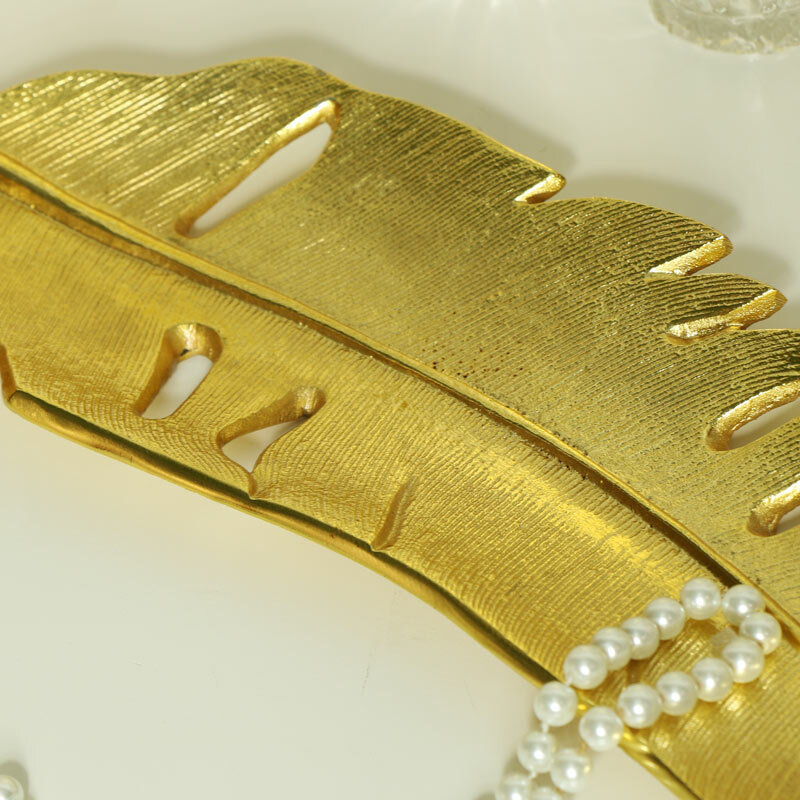 Made from metal and finish in a bright gold colour. Flat base for sitting on tabletop or shelf. A fantastic addition to our extensive selection of gifts and home accessories.